Middle East Studies at Brown University promotes knowledge, understanding, and informed discussion about the Middle East societies through research, teaching, and public engagement. 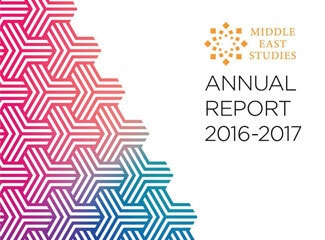 Housed in the Watson Institute and supported by the Dean of Faculty, Middle East Studies (MES) has, since 2012, grown from an undergraduate concentration into one of the top programs in the country. Eschewing the hothouse legacy structures of the conventional Oriental and Area Studies models, MES is driven by thematic research initiatives that tap into Brown’s tradition of interdisciplinary, critical, and engaged scholarship. Through collaborative partnerships around these themes, MES integrates Middle East Studies into the larger streams of intellectual life at Brown University by building a cutting-edge research community, by producing innovative programming, and by offering an exciting array of courses and opportunities for undergraduate and graduate students.